Woodshapers is a fully licensed and insured residential and commercial contractor in Shreveport. At Woodshapers, LLC, we pride ourselves on the ability to create extraordinary results for every job performed. We are known in the Shreveport, Bossier City area for complete Shreveport remodeling, restoration, custom cabinetry and installation. Woodshapers, LLC provides a wide array of remodeling services in Shreveport, Bossier City and across the ArkLaTex. 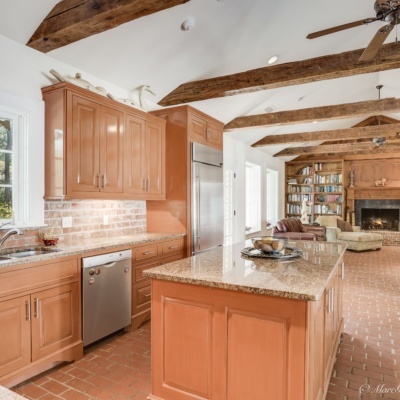 With over 15 years owner experience operating a custom millwork and our on site Shreveport cabinet shop, and over 30 years in the construction industry, we specialize in Shreveport home and commercial remodeling and restoration. We strive to provide every customer with their ideal remodel. We work very closely with a small team of licensed, insured subcontractors and vendors to provide a complete range of electrical, plumbing, painting and masonry needs. We work with each customer to collect ideas and can produce renderings for each project. Our goal is to provide outstanding service while working closely with subcontractors, skilled carpenters and the customer themselves for the highest quality remodel. Please contact us for all your residential and commercial remodeling and cabinetry needs in the Shreveport, Bossier City area.